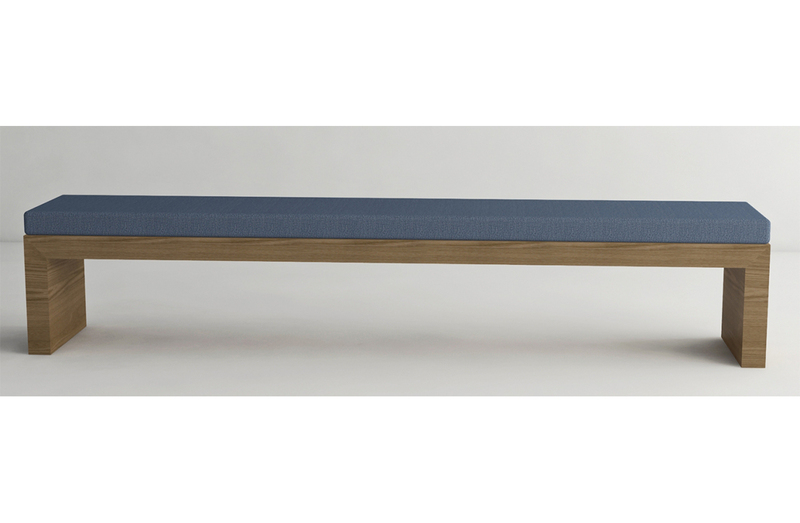 Bench with structure in oak, thermo-treated oak, or wenge wood. Fixed cushions upholstered in fabric or leather. Available to order in a choice of three sizes. Wood finish options: Oak wood in natural, tinted, or open pore lacquer. Thermo-treated oak in light or dark tint. Or wenge wood.